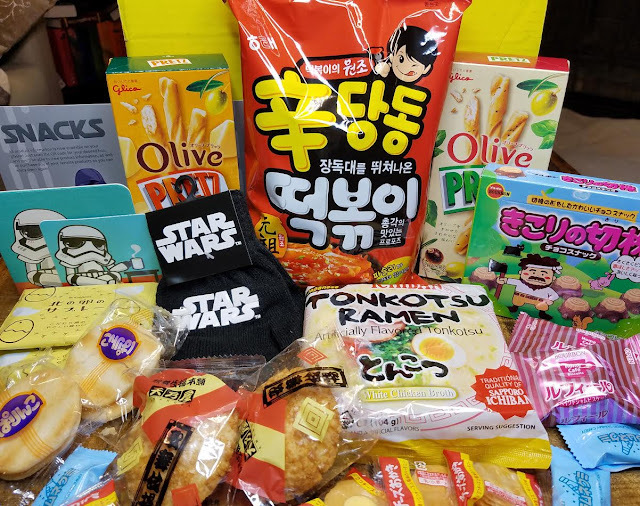 Esianmall has a few eclectic box subscriptions for those into Asian snacks, Asian beauty and/or geeky gamer goodies. It seems like kind of an awkward combination but it works. At least for the box I got. 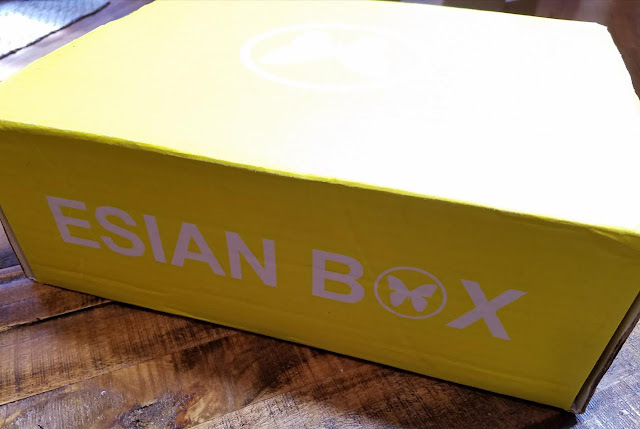 This is the Deluxe Esian Box version of their snack box which means it comes with not just snacks but also gamer items! I'm all for snacks. Bonus geek items are always welcome in my household so this went over fairly well. We've been taste testing since it arrived. 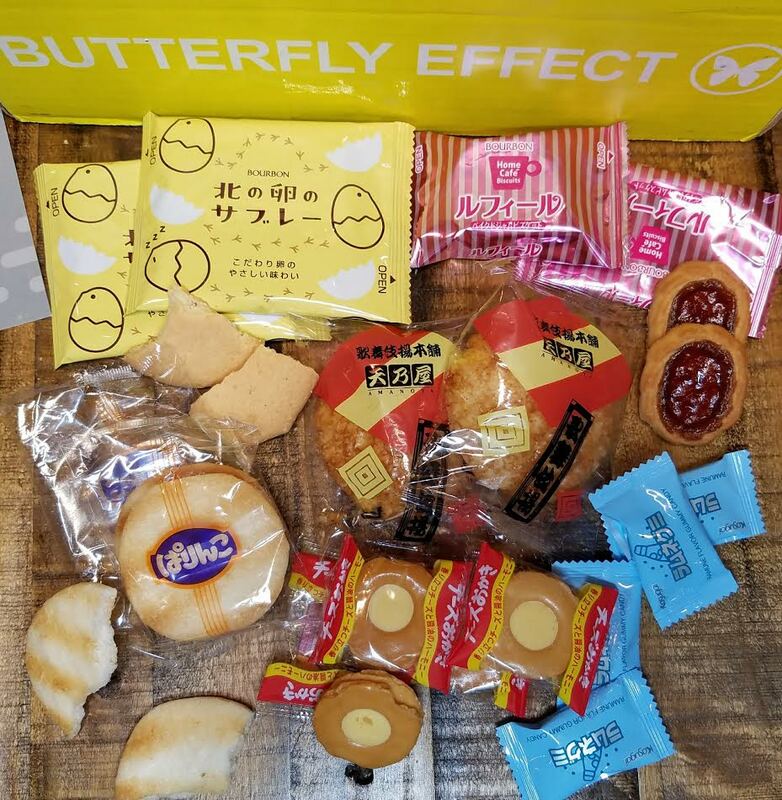 Esian Box has a selection of three different Snack Boxes. 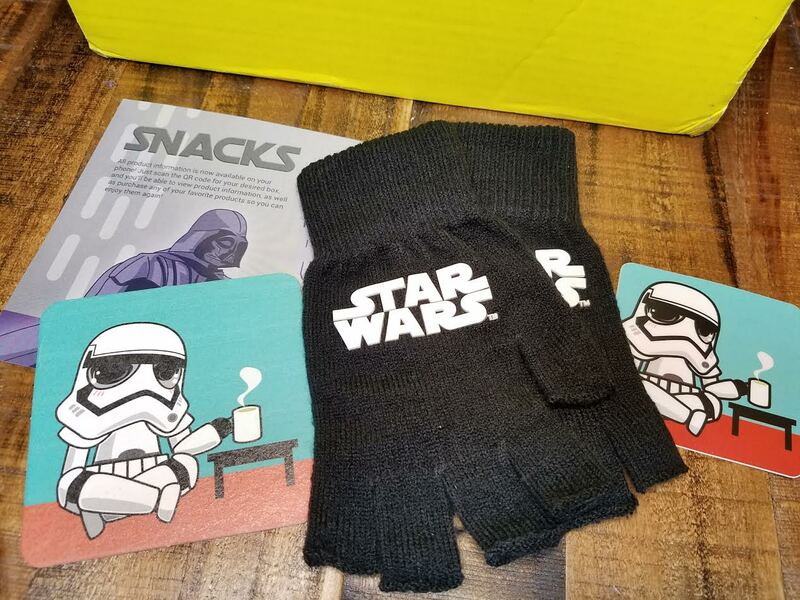 The Deluxe box is the only snack box that comes with "geek swag" though. Since I've only received one box so far, I can't attest to the total quality of the swag and style. I'm happy with what showed up in this month's box, though. 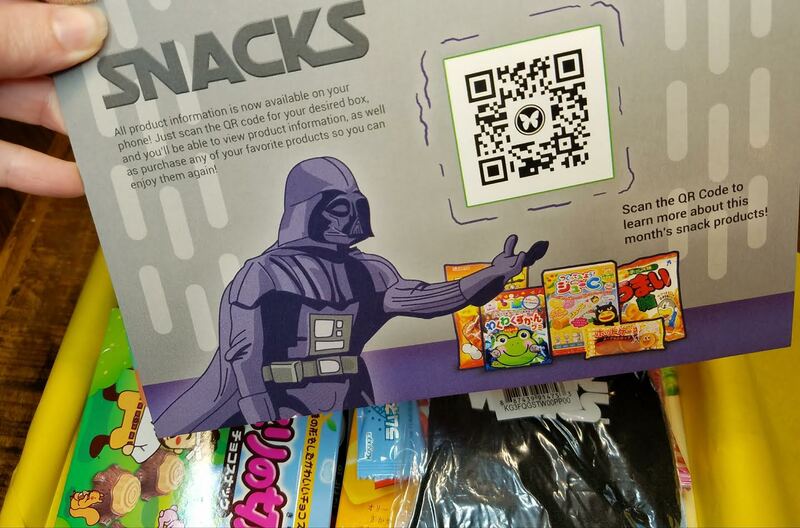 What You Get: In the Deluxe box you'll receive 12-14 snacks with 1-2 items of geek merchandise. Total value is at least $50 per box. There's no information card but if you scan the QR code included it takes you to a page that shows you everything and has nutritional info and all that. 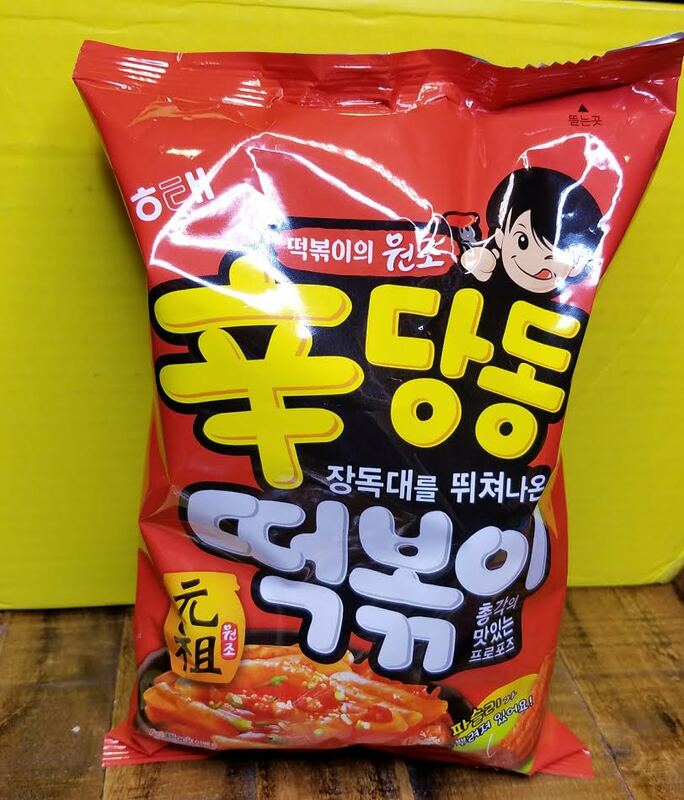 Starting with the big stuff these are some spicy wheat snacks. I love that they've included such a big bag. Half the time there is never enough of what I enjoy. I've always been super appreciative of large sizes and multiples of individual snacks. I really like the salad Pretz. They're a lot thinner than these. 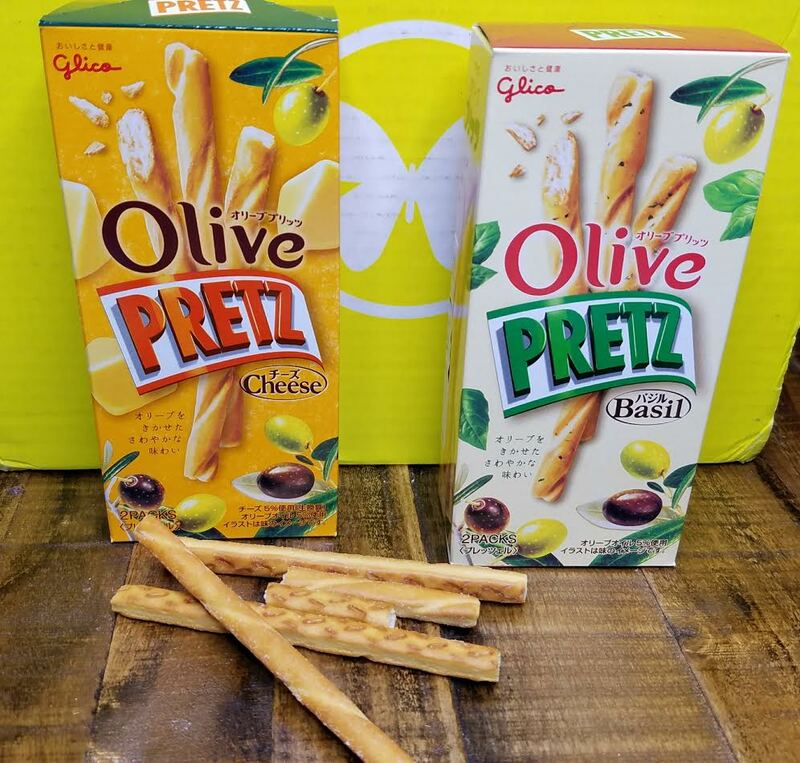 These are like mini breadsticks. Much fatter than normal. I tried the Cheese ones and they taste great. My husband opened the Basil ones but I haven't eaten any yet. I'm sure they're just as tasty. We just eat them plain but I'm sure you could dip them in something. 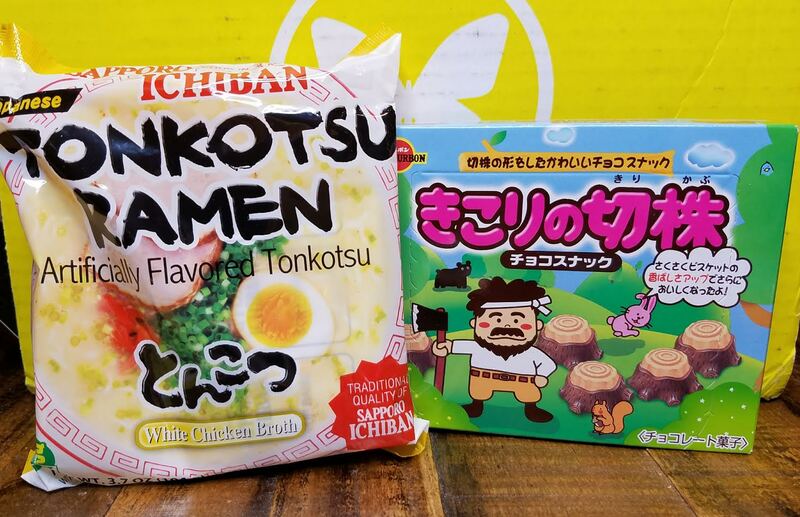 I'm hoarding my pork ramen! This is a pretty common brand but I haven't had this flavor before. My husband loves noodles and we regularly hit up the Asian store in our area and come home with armfuls of indecipherable noodle types. I'm saving this box of chocolate stumps for my nephew. I think it's hilarious that they even exist. I mean who would ever think of making a cookie shaped like a stump anyway?! Animals? Yes. Stumps? Not so much. Haha! Then there were a billion loose snacks. Bourbon brand Chick cookies and strawberry Home Cafe biscuits. Two kinds of senbei plus some funny cheese crackers and ramune gummies. Some arrived broken but I don't much care about that unless it's crumbs and inedible. If you'd like to sign up for an Esian Box, you can see all your options here. Use code GEEKSNACK for $3 off your first box. There's a lot of options since they also have beauty boxes. I'm interested to see what's in a beauty box version.